3 Bedroom House For Sale in Tunbridge Wells for Guide Price £425,000. Guide price 425,000 - 450,000. 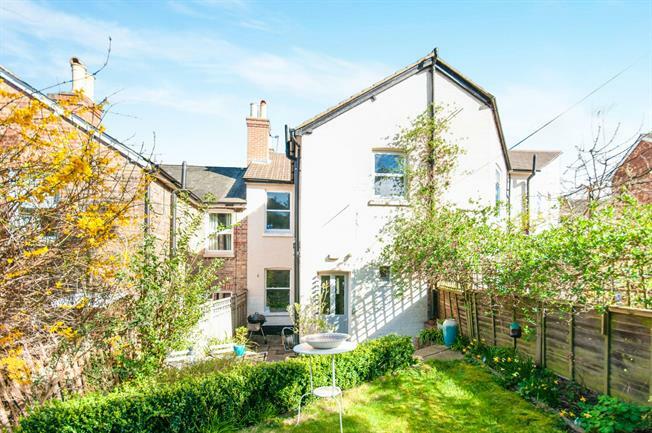 Freeman Forman are delighted to present this three bedroom period property, located in a highly convenient position for the High Brooms mainline railway station, and numerous reputable schools. The property has been beautifully updated over recent years so that it now offers well presented accommodation arranged over two levels. The ground floor accommodation includes an entrance hall, sitting room with a fireplace and bay window, a dining room with a further fireplace, a kitchen and a cloakroom. Stairs rise from the entrance hall to the first floor landing where an impressive master bedroom can be found, along with two further bedrooms and a bathroom which has been fitted with a white suite. Outside the property has a well kept garden which comprises of an area of lawn, with a further patio area and a shed. The property benefits from a gas central heating system and an internal viewing comes highly recommended.